Taking Back Sunday dropped several obvious hints on Tuesday that the band would be reforming the lineup that recorded their seminal debut, 2002's Tell All Your Friends. First came the announced departures of guitarist/vocalist Matt Fazzi and bassist/vocalist Matt Rubano, with respective statements given by each; that was coupled with this seemingly new promo photo posted by the band, likely meant as a tribute of sorts to the older promo shot you can see to the left. The news is now confirmed via video update that guitarist/vocalist John Nolan and bassist Shaun Cooper have rejoined the band. Nolan and Cooper initially left the band in 2003 to form alternative/indie pop act Straylight Run, who themselves announced their hiatus in February. No word on a new album from the reconfigured lineup or any first shows back, but we'll keep you updated. The band's last release was 2009's perpetually aptly titled New Again. 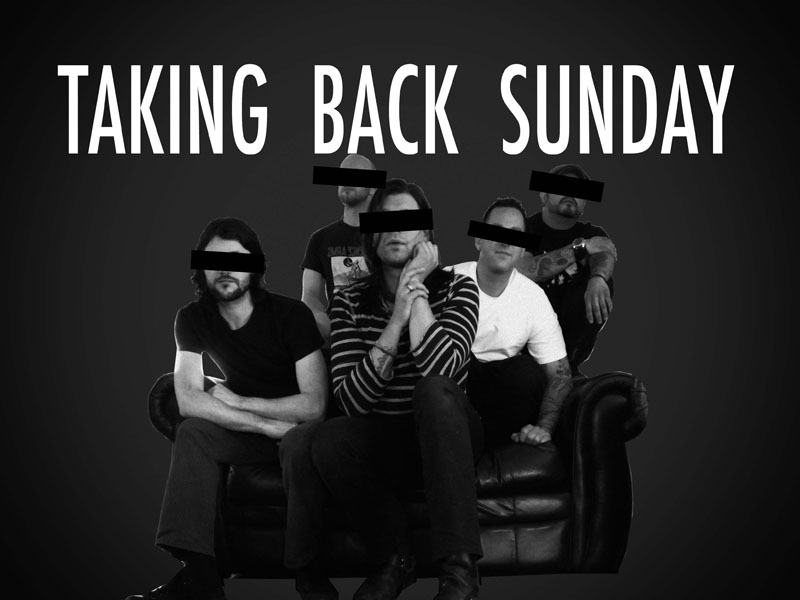 To everyone in the TBS family, it is with great sadness I am announcing today that I am no longer a part of Taking Back Sunday. The last 2 years with Taking Back Sunday have been beyond a dream come true, from touring and playing with bands that I really admire, to playing new places all around the world, to meeting and working with so many wonderful people along the way. Itâs something that I never once took for granted and that I will never forget. I want to thank Eddie, Matt, Adam and Mark for giving me the chance to play and make music with them, if even for a short while. Weâve accomplished a lot in a short time that I will forever be proud of. Thanks to everyone involved for making this such a beautiful experience for me, especially YOU, the fans. You have been so warm and receptive to me since I joined and for this I am forever grateful. As for me, I will continue on with my own music and I hope to see some of your smiling faces around soon. "After seven years I'm sad to announce that I will no longer be playing the bass with Taking Back Sunday. I would like to thank Adam, Eddie and Mark for giving me this amazing opportunity that changed my life. I am proud of the music we made together and cherished every moment of it. And to Taking Back Sunday fans, there isn't anything I can say that will express the way I feel toward you. It's literally been a dream come true and you were the cast of that dream. I am happy to have met and befriended so many of you. I will miss you all."